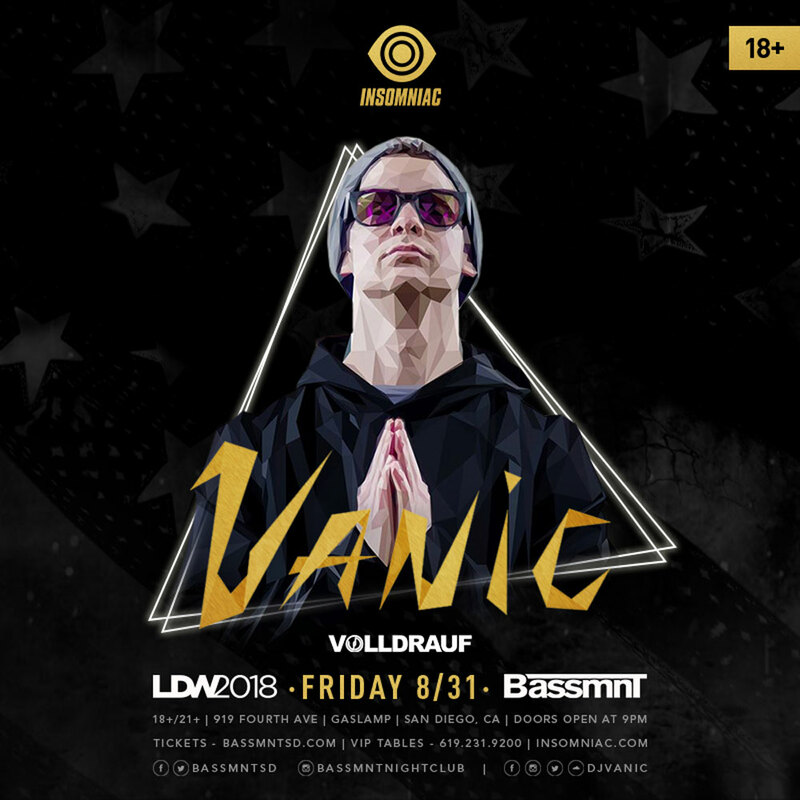 Join us on Friday 8/31 as Bassmnt presents Vanic with the support of Volldrauf! Born and raised in Germany, the multi-faceted DJ/Producer moved to the states as a teenager to pursue his passion for music. With his drive and determination, he has acquired quite the reputation in the SoCal EDM scene and shows no sign of slowing down. Watch out for Volldrauf this upcoming year and don’t miss an epic set as he makes his return to Bassmnt! See you this Labor Day Weekend!